Manna Fish Farms grows finfish and researches IMTA (Integrated Multi-trophic Aquaculture) with macroalgae (kelp) and shellfish (sea scallops).Manna Fish Farms will use world proven submersible cage and automated feed technologies to grow local, wild species finfish. What is Aquaculture? Aquaculture is the rearing of animals and plants, in fresh and seawater. Mariculture is when this aquaculture takes place in a marine environment. Aquaculture and Mariculture offer viable solutions to meet the growing urgent demand for sustainably produced, healthy seafood. Fish farming has been shown to reduce pressures on wild-stocks, support the growth of coastal and rural communities, help build infrastructure, support local economic revitalization and growth, and will yield an array of seafood products high in protein and rich in heart-healthy Omega 3 oils. Fingerlings are spawned in the hatchery, grown out for over one year, then placed into the off shore submersible cages, where they will be fed via a 60 ton, fully automated and remote operated feed buoy. The cages are maintained 40-60 feet beneath the surface, and raised and lowered to any depth for easy maintenance. Aquaculture at these depths provides safety from storm events, and swift currents bring constant clean water, providing a healthy environment for the fish. 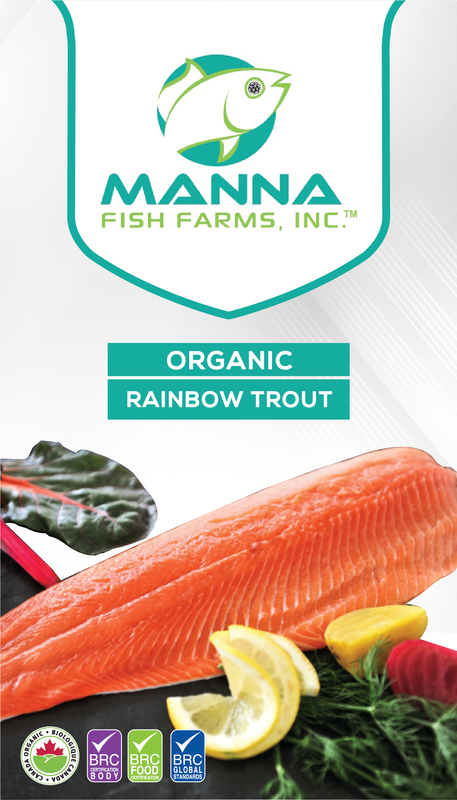 Manna Fish Farms is on course to be the first open ocean finfish farm in Federal waters off the East Coast of the United States. Utilizing submersible cage technology, Manna Fish Farms will build and operate a commercial fish farm, growing finfish and researching IMTA (Integrated Multi-trophic Aquaculture) with macroalgae (kelp) and shellfish (sea scallops). © 2019 MANNA FISH FARMS, INC.